"The 3rd vintage of our collaboration delivers a highly textural wine displaying more earthiness than previous vintages - perhaps a reflection of a warmer growing season. It has aromas of dark cherry, wild strawberry, liquorice, mushroom and earthy loam. The palate has a memorable creamy texture with fine tannin and great length. An intriguing wine in its youth that will continue to evolve with great interest for 10+ years." 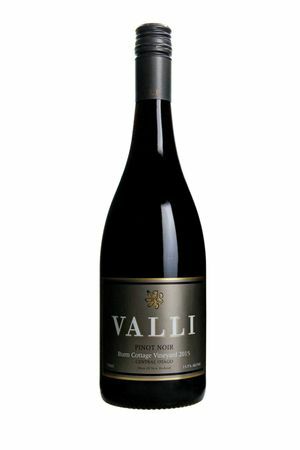 The Valli Burn Cottage Vineyard Pinot Noir is currently unavailable. 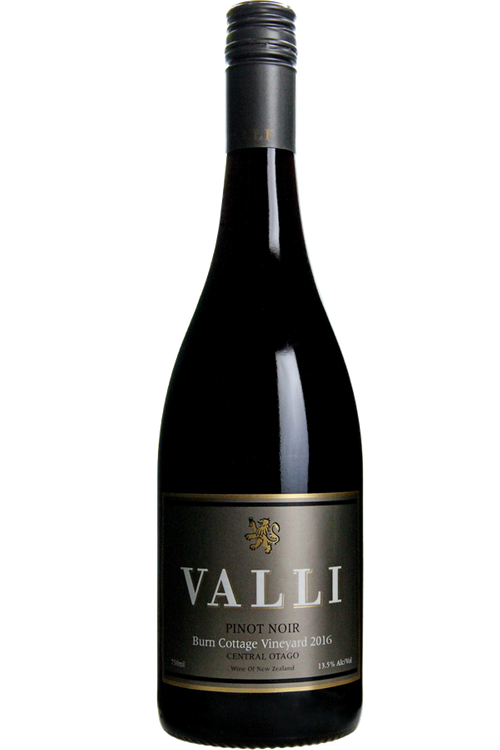 Please contact hollis@valliwine.com to be notified upon the next release. "The 2nd vintage of our collaboration delivers an elegant and textural wine that is perhaps even more exciting than the first! Lifted red fruit aromas of cherry and wild strawberry with a hint of cassis, baking spice and earthy loam, This Pinot Noir is full of energy with a memorable creamy texture and an electric long finish. Enjoyable young and the earthiness should continue to develop with age." "This is Valli's first wine from the Burn Cottage vineyard in Lowburn. It has lifted aromas of wild strawberry, Otago cherry, rosemary, vanilla and cardamom spice with a sweet earthy note. A vibrant wine with pure red fruit flavours that dance in the glass. Well balanced with a distinctly creamy texture that lingers long on the palate."